The High Peak Kathmandu 70 + 10 Hiking Backpack is perfect for active individuals who love to go camping and hiking and want the best in gear to take with them. With an expandable top lid, users can fit more items inside. In addition, the carrying straps are customizable so they fit a variety of sizes and EVA foam is included for form and shape. A Hydration ready system is included, and there is a lifetime warranty attached to this product. With four main packing compartments, it’s easy to separate different items and organize them. There’s also a built in rain cover for protection. 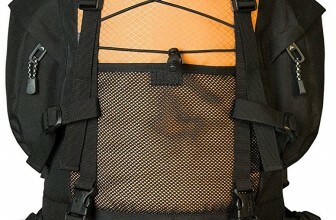 With the detachable hood and aluminum suspension bars, this backpack is more comfortable for users than most. Features aluminum suspension bars as well as a detachable hood for comfort. Features 4 main packing compartments for easy organization of goods. The main compartment has a divider and 2 zippers. Back and shoulder straps are padded for comfort. 5,000 to 6,000 cubic inches capacity. Ice pick handles and hydration ready system. The reviews of the High Peak Kathmandu Hiking Backpack are fairly good. Users rated this product at 4 stars out of a possible 5, meaning that the majority of the users were happy with the product, even if they didn’t think it was absolutely perfect. What most people love about this product is the ability to carry huge loads without much trouble. 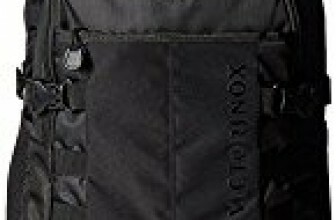 With multiple ties and compression straps, users were able to get 30 pounds of gear or more into the bag. One user practically packed everything but the kitchen sink and was still secure. Another user said it rained on him for a good hour and a half, but with the rain cover, the pack and gear stayed completely dry. Another user said that he’s been using his backpack for more than three years now, and it has held up extremely well; even through a fall down a mountain! In fact, he says he loves it so much, he’s giving his brother one for the holidays. 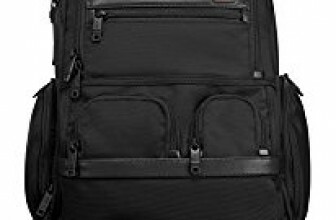 This same user packed his backpack with more than fifty pounds and was able to maneuver easily. The straps easily help transfer weight from the shoulders and backs to the hips for more comfort. The users also liked that the top of the pack comes off to be used as a fanny or day-pack. 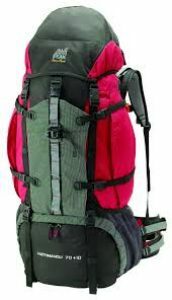 Based on the reviews of the High Peak Kathmandu Hiking Backpack, we feel completely comfortable recommending it to those who want a sturdy, comfortable, and secure backpack for hiking and camping. Most users were extremely happy with this product and would purchase it all over again, or recommend it to friends and family members. 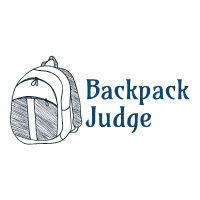 It is highly unlikely that those who purchase this backpack will be unhappy with the materials, the durability, functionality, versatility, or any other aspect of the product. We whole heartedly recommend this product to anyone and everyone.